If the website for whom you write a guest post (in return for a do-follow backlink) is not a reputable website with high domain authority, it is as if you have done a disfavor to your website. A bad backlink or a poor quality backlink is only going to have a negative impact on your website. Therefore, it is very important for you to find real high-quality websites with high DA. A backlink acquired from such a website will help Google establish a relationship between you and that specific website. This means Google would have no option but to raise your rank because you’d be associated to a niche high authority website. 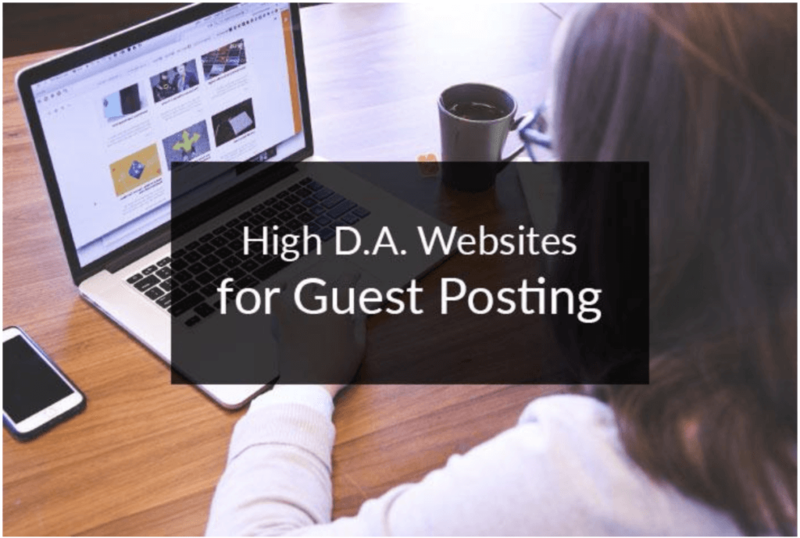 Here are a few sure-fire ways to find some high DA niche websites for guest posting. No, I am not asking you to narrow down the niche that you want to work on. I only ask you to narrow down the niche of the ideal websites that you’d seek do-follow backlinks from. Before you rush to a guest posting agency to get some guest posts that you will use to get backlinks, you need to define and narrow down the niche of an ideal high DA website. It is because a backlink in itself is nothing. For example, if you are into Vibram sole hiking shoes and you get a backlink from a women shoe website, Google will get alarmed. Just recently, Google blacklisted a website only because the backlink they got was from some irrelevant website. While women shoes are still shoes, you will need backlinks from websites that are into outdoor shoes for men and women – more ideally, one that deals with hiking shoes specifically. Primarily, your target high DA website should be one that operates in the same niche and enjoys the unchallenged status of niche authority. However, if that is not possible, you can go for a website that deals in your niche as well as other related niches. DA and PA (domain authority and page authority) are metrics initially introduced by Moz. Other SEO leaders name these differently, but because Moz measures a website’s popularity so effectively, DA PA metrics are now the most important metrics to analyze the authority of a website. If you would like to test this out for yourself, all you have to do is to get the Moz bar extension for Chrome, go to each and every website that you consider getting a backlink from and have the Moz bar activated while doing so. You will then be able to see the DA and PA of each of those websites. Any website with a DA 50+ PA 30+ is perfect for this purpose. Apart from Moz Bar, there are other SEO tools like Alexa, SEMrush and Ahrefs. While they do not gauge a website as well, they still give you perfect idea of a website’s authority and worth. Additional factors you should look for in website metrics are daily traffic, backlinks, and other such details. Think about the purpose of getting a backlink. You go to a guest posting agency, you get a guest post, you send it to a high niche authority website and they give you a backlink. You do all of this work to get more and more traffic, don’t you? However, it is not only to make the website sit on the first page of Google. 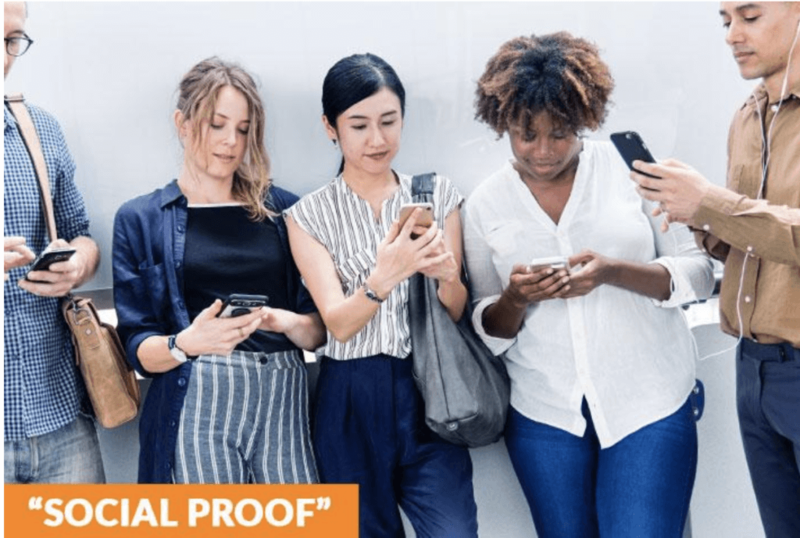 If a website gets a lot of social media traffic, it sends a message to Google that it is important and Google uses these social signals to better rank websites. Now, if that traffic finds your post on that website, follow the link, and lands on your website, what will happen next? You will get a better ranking on Google SERPs and many of those new visitors will also be turned into customers. So, you must find a High DA by following social signals. If you finally manage to find a niche authority website with heavy traffic on it coming from social media, get a backlink from it. Apart from all of the methods given above, the most proven method to find high quality and high DA PA niche authority websites that accept guest posts is through websites that offer a list of sites that accept guest posts. For example, Advanced Web Ranking has 150+ sites’ listed. All of these websites are high quality and high DA PA websites which are authorities in their respective niches. What this website has done is that it has sorted out all websites into categories. 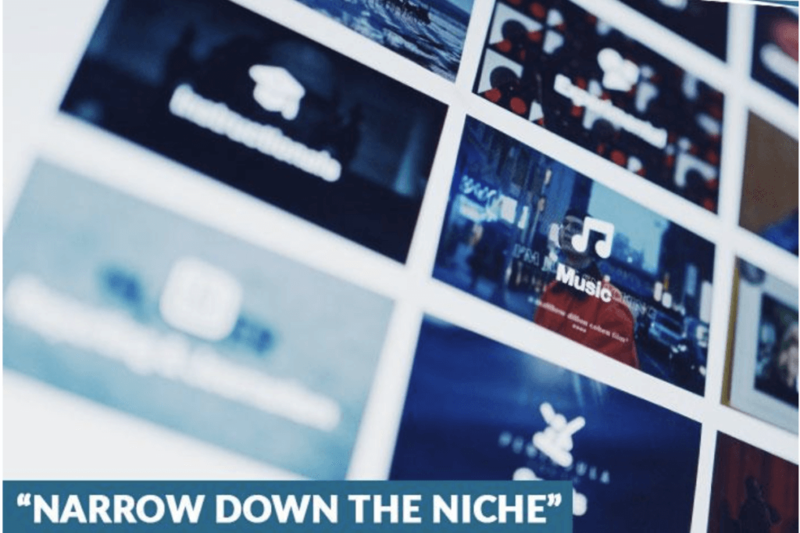 So, if you need a guest post accepting website from financial niche, you can go to “Finance Blogs” and you will find websites like Inc. Magazine and Bigger Pockets. Another website that offers blog outreach and guest posting is Outreach Mama. They have their own list (700+) of websites that accept guest posts in return for high DA PA do-follow backlinks. This list is also categorized. All you have to do is to pick the category e.g. Web Design, and you will immediately see the websites that are considered niche authority in web design and that accept guest posting. You do not even need blogger outreach services for all this. If your basic education is from a good school and your grammar is always right on the button, write a blog post of at least 1000 words and get 1 to 2 do-follow backlinks with each post. This is it, folks. 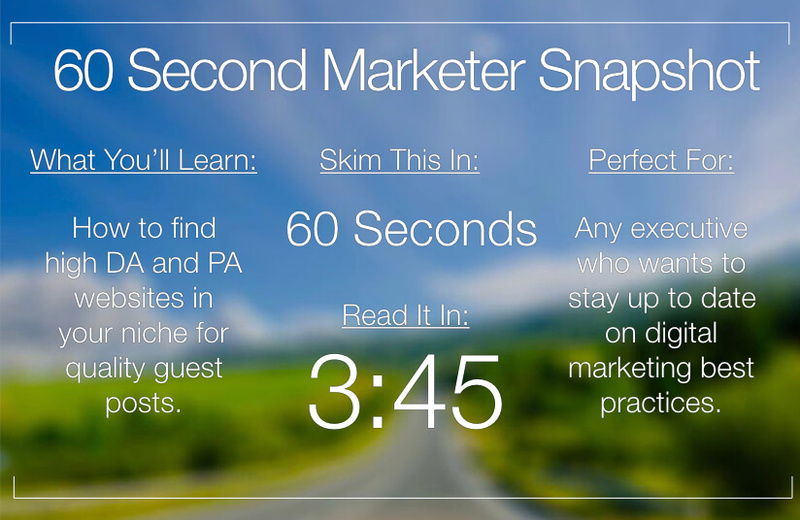 Try these tricks and with time you’ll be creating and publishing content for high DA and PA websites.